Most entrepreneurs who start a physical product business want to have a massive brand. That word kept coming up over and over. Brand. Their end game wasn’t running an actual business, but having their logo, and their name, known and respected far and wide. At least, that’s what I wanted when I started. They had no idea what it actually took to build a successful company that sold physical products. It turns out, like them, neither did I. At the time, I was just a disillusioned high school psychology teacher that loved Brazilian Jiu Jitsu. I created a local community website around “the gentle art,” which blossomed into a full-blown equipment and apparel review website with a vibrant community around it. With every company in the world sending me free apparel to review, I was living the high life. Until, that is, I realized how much money they were making from my work. A uniform (named a “gi” and pronounced “GEE”) was costing them $50 to get it to me, and I was sending them thousands in sales. So I started my own gi company. Two years after I launched my company, I surpassed $100,000 in sales. Now, looking back, I want to share all of my secrets of how I created a physical product company with a following so strong it not only broke six figures, but it became a brand so strong people got my logo tattooed on their bodies. Also, I’ll share how I’d do it again today. But before we get to that, remember this is wisdom gleaned working from 3am-6am and 9pm-midnight every day for over two years. How Do I Get My First 100 Sales? If you’ve been following the methodology that I’ve laid out here, you got your first ten sales before you ever made your product. But, now we need to scale that up to 100 sales? Why 100? Simply put, it forces you to get outside of your intimate circle of people who care about you. In my story, it forced me to grow outside of my gym and local friends that would buy my jiu jitsu gear because they liked me, even if the gear was trash. One thing you’ll noticeably miss in this list is Woocommerce. Don’t get me wrong, I’m a massive WordPress fanboy. I build all of my sites on it and advise all of my SEO clients do to the same, even for eCommerce. What really opened my eyes was an essay from Scott Bolinger about how the rest of the world views WooCommerce outside of the WP bubble. Yes, WooCommerce is 41% of all ecommerce stores, but for quick setup, my two favorite options are Shopify and Bigcartel. BigCartel is the perfect starter store. You can list 5 products for free to get things up and running. As you start to grow, upgrade to their $10/mo plan that gives you access to only 25 product listings, but all of their features. One of the biggest drawbacks of BigCartel is that things are so much more manual. Unlike Shopify, a very fun and quirky shipping email, like the one that I used (shown below, inspired by Derek Sivers) has to be sent manually to every order. Shopify does the same automatically. If you still have more time than money, BigCartel is a great start. Shopify is incredible and SO much stronger than when I was attempting to use it back in 2012. Back then it was a total mess, but today is features a VERY robust set of plugins that can do anything you want: coupon popups, countdown timers, auto-emails, shopping cart abandonment, facebook chat integration, etc. Crowdfunding is considerably more difficult without an existing audience or platform. Most of the kickstarters that I’ve backed have been because a brand that I knew and loved, like my favorite online comic strip, told me they were using Kickstarter (that comic strip ended up raising over $1.2 million from a $57k goal!). 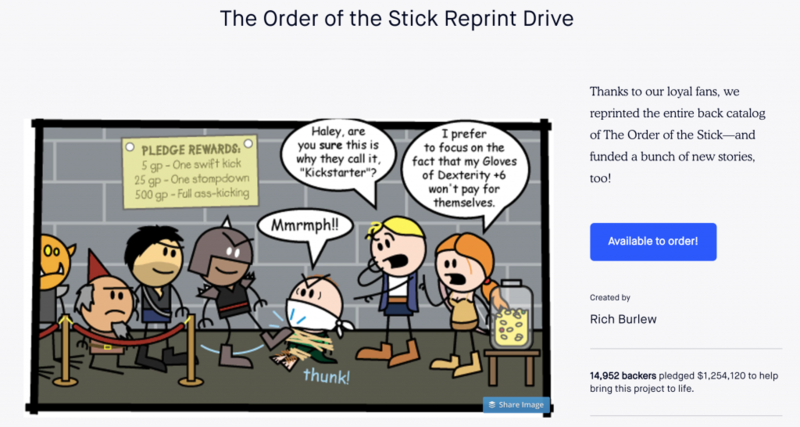 Crowdfunding is a great place to start but can be hard for an established brand, unless you’re releasing a new product totally outside what you’ve done before (like this). Even then, it’s not easy. If you’re thinking of using a crowdfunding platform for your first product, you have to consider how you can leverage it to spread the word for you. Look at what the most popular items have been for the last year and what the funding % for different categories are on Kickstarter. 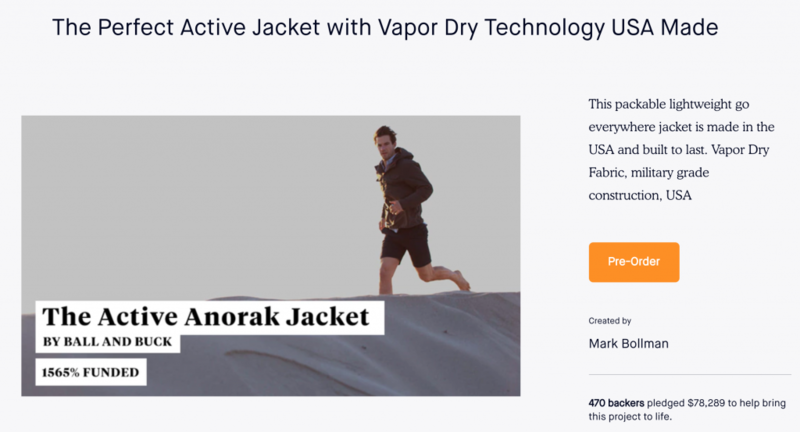 Sure, a jacket company launched a brand from a Kickstarter campaign, but for every one of those, many other campaigns go unfunded. The crowdfunding platform will not fund your product for you, only accelerate what you’re already doing. As an SEO and content marketing expert, I always used media, platform, and email marketing to drive traffic to my website. However, with so many people having success with facebook ads, I wouldn’t discredit it. I would advise that you have your house in order before paying for advertising. Remember, ad platforms make money based on getting you clicks, not making you money. They don’t care how bad or generic your targeting is or how well you’ve optimized your ads for their platform. They just want to get paid: Facebook makes nearly $10 billion per quarter on ads, Google another $26 BILLION based on inefficiency. When you do run paid advertising, you don’t just want to get the conversion, you want to build a brand that people come back to. Have all of your systems running optimally before you start running ads: there’s no sense in pouring more water into a leaky bucket. When I started, I went straight to Shopify because Tim Ferriss told me to. When it couldn’t meet my needs, I went with BigCartel, but stuck with them way too long. I was putting in so many hours that I didn’t need to in email (I was even manually typing in shipping info to usps.com. WTF was I thinking?). I should’ve gone with Shopify after a year or so. One last tip on paid advertising: Don’t follow what the big dogs do. 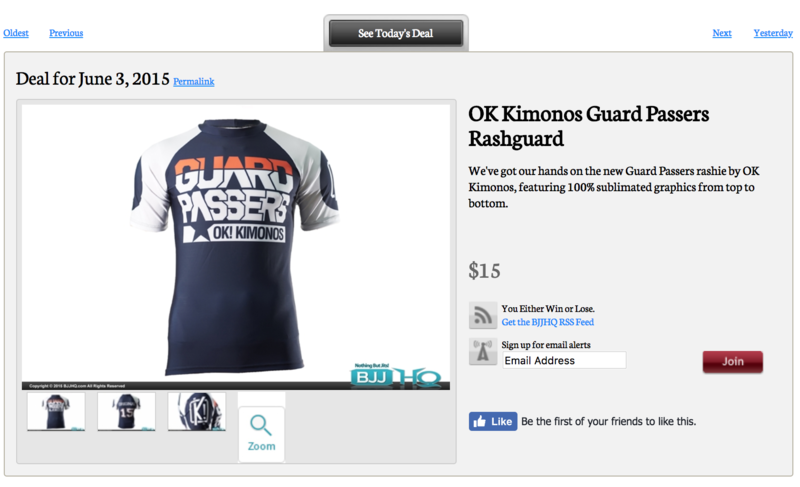 I jumped headfirst into sponsor a major jiu-jitsu tournament and, while my brand was seen alongside the mega brands, I had nothing to show for it at the end of the day. Sales didn’t dramatically increase and, stupidly, I was okay with the tournament not allowing me any way to track the ROI of the expense. All I had to show for it at the end of the day was a t-shirt with my logo on it from the tournament (that I had to ask for twice after the event). Sometimes growing your physical product sales just means doing more of what you’re already doing, seeing what’s working for you and what you can do more of. But, most often, what got you here won’t get you there. If guest-posting on blogs with your target demo got you to a stable $5k per month revenue, and you’re already at capacity, there’s no simple solution for doing “more.” Something is going to have to change. A quick note about scale: Don’t feel like everything has to scale just because you hear about it in tech. You still need to have fun and enjoy this. You’re making a physical product because you want your thing to live in somebody’s daily life, not occupy 80kb in their hard drive as a PDF. 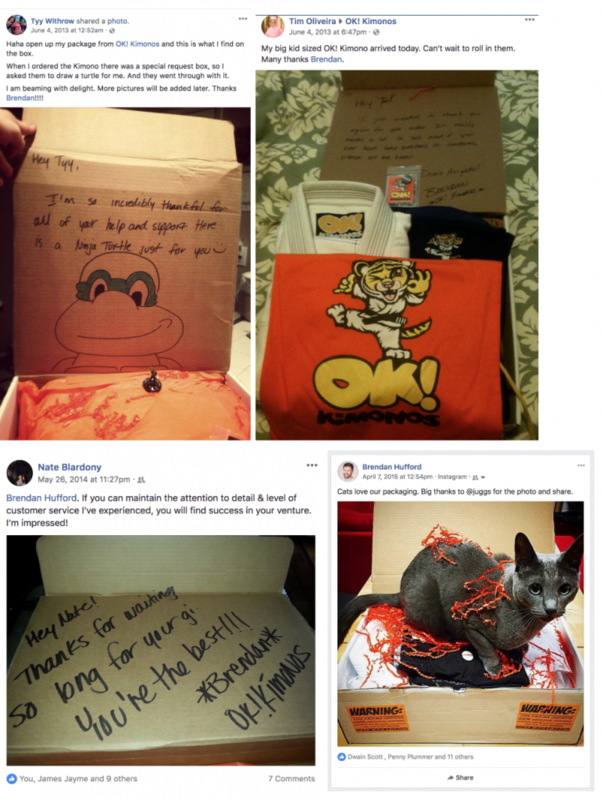 Doing things that are hard to scale, like offering an incredible unboxing experience, made me happier than anything else that I did. It also worked as marketing because people shared it endlessly on social media, but it made me happy to see others happy. One of the first things that I attempted to do was bring on another person. While it ended up blowing up in my face (more on that below), I still believe it’s a really smart move. Finding people who are experts in areas that you are not, and paying them with money or product, is one of the best ways to grow your team. As you know, for the entire duration of my business, I was the one packing and shipping everything, romantic about how “unscalable” I was. Printing all of the labels. Sending all of the emails. It sounds insane now, but at the time I felt like nobody else could do what I did. Seriously, Brendan? Nobody can possibly print a label as good as you can? I was so caught up in the idea that what I was doing was special and unique, I didn’t realize I could train somebody else to do it. Whatever your repetitive tasks are, digital or physical, you can create a process that somebody else can follow. If you sell any kind of physical product, there is almost always a way to get into wholesale. Wholesale is awesome because you scale your revenue without much added work (just different work), get more consistent income, marketing support from wholesalers promoting your product, and increased credibility in the marketplace as you’re seen alongside other top brands in your industry. There are drawbacks, however: lower profits, potentially delayed payments, dealing with clients instead of customers and learning a very different sales strategy. With wholesale, you put yourself in the seat of the supplier that you vetted earlier on in your business, so be ready to answer the same questions you asked of them. Do you know your numbers? 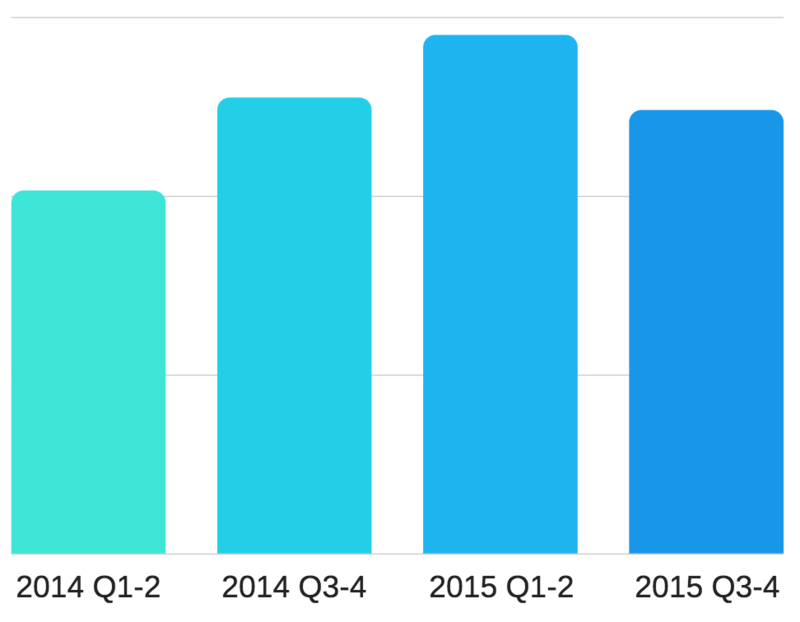 Can you tell a wholesale partner about your current sales are month over month, revenue, promotions, etc.? Do you have order minimums? Who will cover shipping? How are you going to package and ship your items to wholesalers? How are they going to package them? How much can your wholesaler discount your items? (Steep discounting can destroy market value). Do you have product info and marketing materials they can use? Do you have a line sheet and order form for easy wholesale ordering? Who is responsible for replacing returned or lost product: you or the wholesaler? Once you have that figured out, brainstorm a list of 20-30 places that you’d love for people to be able to purchase your items, online and offline. With today’s digital world, I decided to focus first on online stores and platforms as wholesale partners. Outsourcing distribution is incredibly smart. I’ve had a lot of friends have success by outsourcing their entire distribution operation (Matt Vincent does this for HVIII Brand) and many people in my industry ship with Shiphero because it’s an incredible company whose owner also happens to train Brazilian Jiu Jitsu. If you don’t end up scaling your sales by outsourcing your shipping with an independent operation, another incredible example is using the Amazon FBA program. Essentially, you can have your factory ship directly to Amazon’s fulfillment center near you: Amazon USA (includes Mexico & Canada), Amazon UK (including Germany, Italy, France & Italy), or Amazon India (required an Indian address). Your products will now be available on the Amazon platform and you can leverage the audience, optimization and platform of a business in the race to become a $1 trillion company. I first got interested in licensing prior to starting my jiu jitsu business. My first attempt at a business was looking into licensing a vitamin formula specifically suited to combat joint pain in grapplers (like myself). After a great deal of research, I discovered that I didn’t have the financial backing required to becoming profitable. However, I was able to parlay that into licensing deals for my jiu-jitsu company. I found a “wholesaler” who was interested in handling all of the production and sales of my product, end to end, for a flat “per item” fee. It was only 10% of the profit that I was making per item at the time, but to me, it was free cash. I was able to focus 100% on the promotion of the sales of my product in their retail and ecommerce locations and was paid up front for what they were planning to create. I didn’t make a lot of money with this, but a few thousand dollars here and there was incredibly helpful. Unfortunately, I didn’t listen to him and within a few months of my son being born and me being away from the day-to-day of my business, my friend who’d been helping me quit. Not only did he quit, but he tried to destroy my reputation and burn the business to the ground in angst over not becoming a financial partner in the way he’d expected. It was 100% my fault for not outlining that in an MOU and later on, as I grew my team of writers and influencers, I made sure that I always used an MOU so that I could hold them accountable, but more importantly, they could hold me accountable for my end. If you’ve already crossed the $100k mark – What worked for you that I left out? Was there something that worked for you that’d be a game-changer for other readers? Let me know in the comments below. If you’re just getting started – Where are you getting hung up? What phase in your business are you finding yourself stuck at? Let me know in the comments below.